I come up with the idea during a boring meeting with my mentor and fellow classmates. Chairs separate the space and each other while round stools made everything so casual. I want to change the status quo. Therefore, inspired by the design philosophy of "Less is more" and a sculpture outside the Milan Central Station, I come up with this shape combing both the steadiness of triangles and the relaxing vibe of curves to assist the process of brainstorming more like a decent conversation. 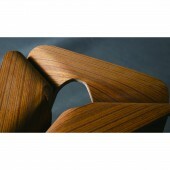 This is a stool made from 35 wood veneers pieces (220 cm in length and 30 cm in width) and is purely handmade. By proper arrangement, I managed to use as little material as possible to create an object that is reasonable. Communicating with the language of curves and triangles, it aims to create an sense of visual satisfaction with a fun shape for employees of creative agencies when they are brainstorming with each other. Three identical pieces can stack on each other, which also makes it easy to transport. 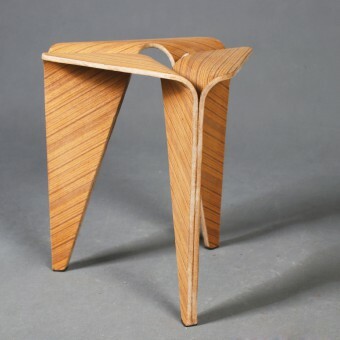 The stool only requires a pair of molds and some wood veneers to be made and it can be easily produced at home. The choice of triangles and curves give it a better feeling than a traditional round stool or rectangle stool. You can enjoy a relatively casual feeling in a quite intensive brainstorming meeting or other occasions. The project started in November 28th, 2016 in Shanghai and finished in Jan.5th 2017 in Shanghai. The main research was conducted about how to create a stable plywood furniture without the help of machines since I am only given about a month to start from design to production. There are various factors including weathers, wood type, wood layers, molding procedure. And given the fact that Shanghai this year in December is still damp, the control of these factors became even more critical. After many tries, I finally come up with a rather good combination and get the stool done. The hardest part of the design is the production and the stability. Since it is constructed by three exactly same components so the similarity of them are critical. However, this is a student design and simply handmade, so the success of this realization is derived from many tries. And also, it is hard to find big pieces of wood veneers. Therefore, in order to use as few materials as possible, the arrangement of cutting the veneers is also an obstacle. What's more, to provide a much stronger stability for users, a little hole is considered in the middle of the surface during the production in order to make it more stable. College of Design and Innovation (D&I), Tongji University, was developed from the Art and Design Department of the College of Architecture and Urban Planning, Tongji University. 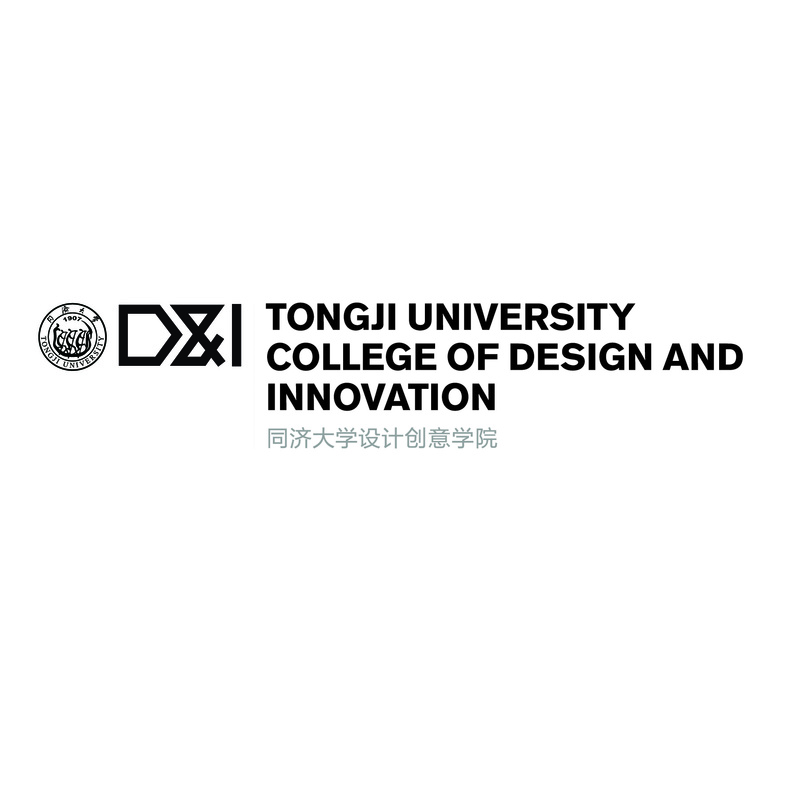 Currently, College of Design and Innovation, Tongji University, has become one of the most internationally renowned colleges of design, ranking among the world’s leading design institutions. 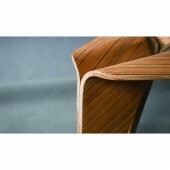 Copernico Stool by Kai Hu is a Nominee in Furniture, Decorative Items and Homeware Design Category. · Click here to register today inorder to be able to view the profile and other works by Kai Hu when results are announced. Copernico Stool by Kai Hu is Winner in Furniture, Decorative Items and Homeware Design Category, 2016 - 2017. · Press Members: Login or Register to request an exclusive interview with Kai Hu. · Click here to register inorder to view the profile and other works by Kai Hu. 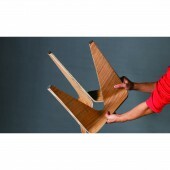 Did you like Kai Hu's Furniture Design? Did you like Copernico Stool? Help us create a global awareness for good furniture design worldwide. Show your support for Kai Hu, the creator of great furniture design by gifting them a nomination ticket so that we could promote more of their great furniture designs.